The second volum in Giorgio Koukl's complete survey of Arthur Vincent Lourie's piano music spans the years 1912 to 1938. 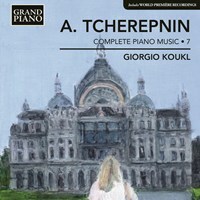 In that time the Belarus-born composer embraced extended tonality in Deux Poemes, Op. 8, huge Scriabinesque chords in Syntheses, Op. 16 and forward-looking harmonic astringency in the Sonatina No. 3. His post-Revolutionary Paris years are represented by a sequence of characterful miniatures. 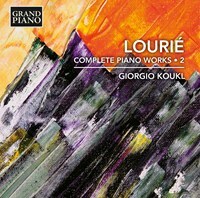 If you like Lourié: Complete Piano Works, Vol. 2, please tell your friends! You can easily share this page directly on Facebook, Twitter and via e-mail below.